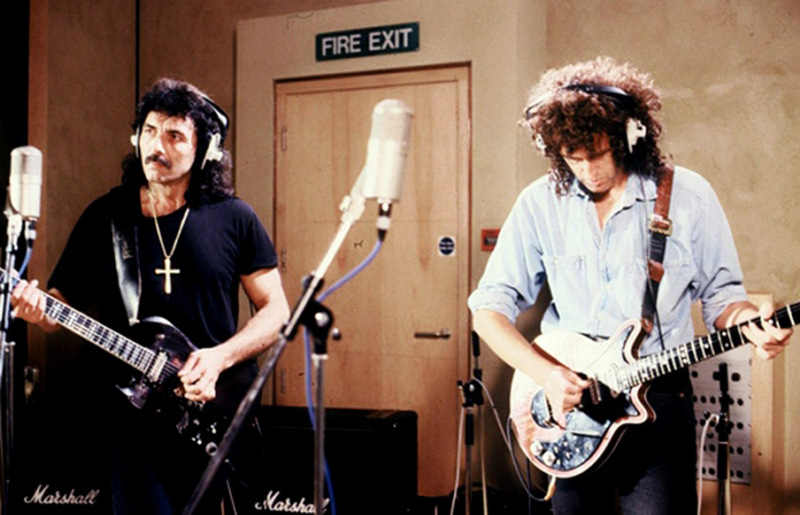 A short clip from the late 1980’s featuring chat and playing from Tony Iommi, Brian May and Ritchie Blackmore during the recording of a charity record. It’s about time that the Rock and roll hall of Fame is inducting Ritchie Blackmore and the rest of Deep Purple. Ritchie Blackmore wrote 99.9 % of their music and also lets not forget the band Rainbow !!!!!! when will the Rock and Roll Hall of Fame get their act together. Mr. Blackmore is by far one of the most talented artist. Always reinventing himself and the sound that all true Guitarists try to be. He truly is a innovator of music.